You can buy a three-pack Google Wifi bundle at S$15/month over 24 months when you sign up or renew selected StarHub Broadband or Hubbing all-in-one plans. No upfront payment is needed. Visit StarHub’s Google Wifi for more information. 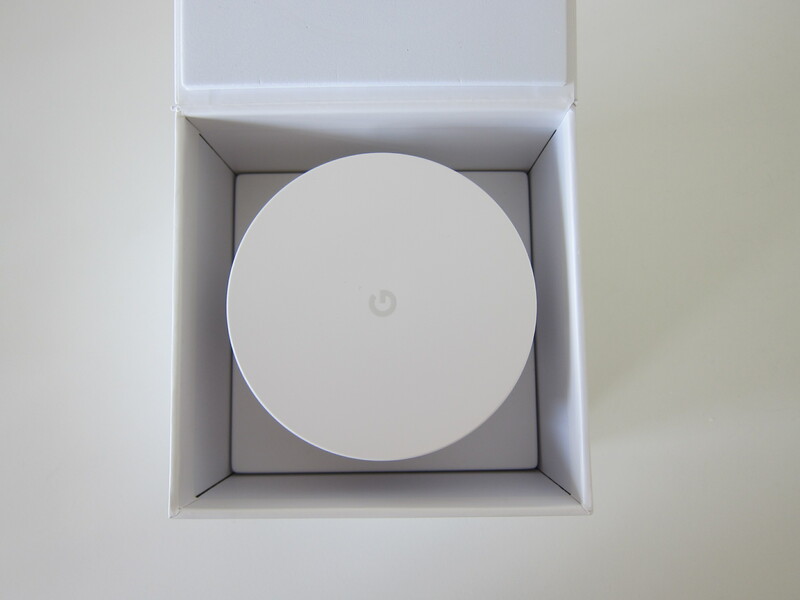 Google Wifi is a wi-fi mesh system similar to eero and Linksys Velop. It features a dual-band 802.11ac Wave 2 wi-fi which gives you a combined speed of 1,200Mbps, and hence the name AC1200. 300Mbps on the 2.4GHz and 867Mbps on the 5GHz. 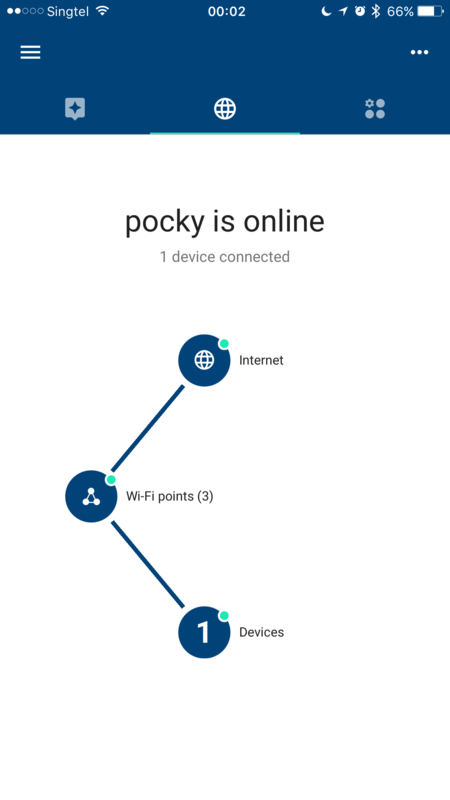 You can expand your wireless coverage by adding more Google Wifi nodes to your house. 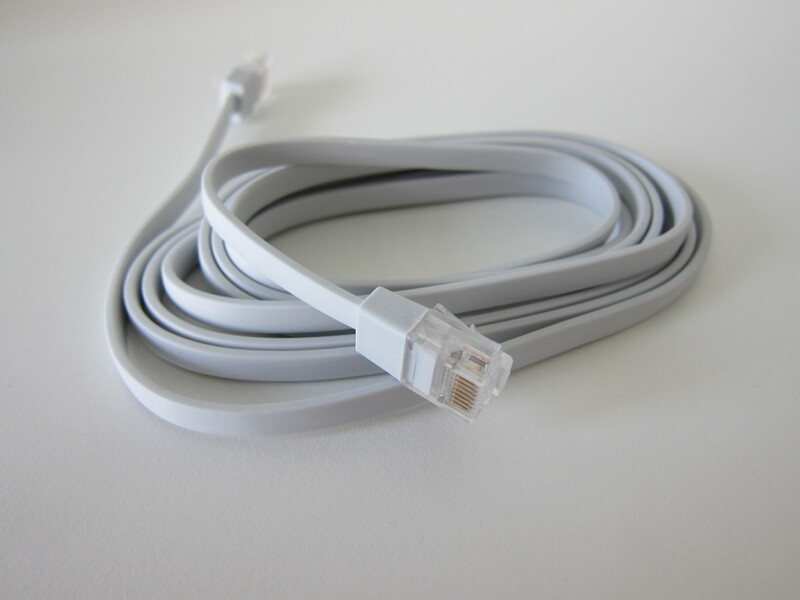 StarHub only sells them in a pack of three. So if you need a fourth one, you will probably have to buy it second hand from Amazon or Carousell. 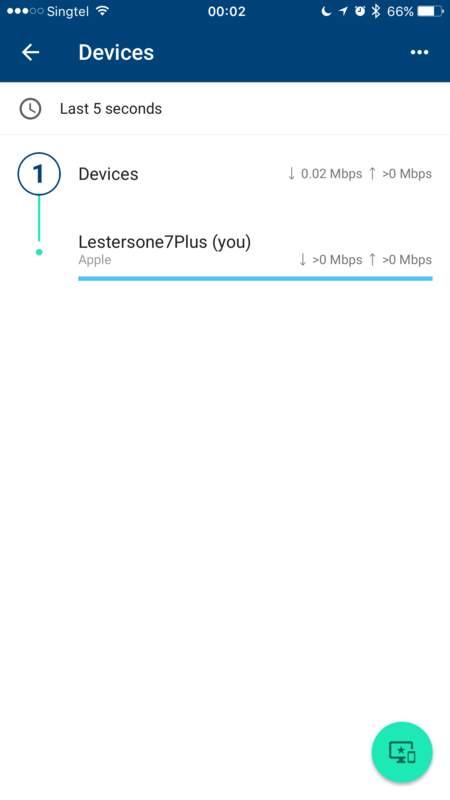 Google Wifi supports 2×2 MU-MIMO (2 simultaneous streams) similar to Velop. The first generation eero that I reviewed doesn’t have MU-MIMO but the second generation has it. Both Google Wifi and Velop also supports Beamforming which is also missing on the first generation of eero. 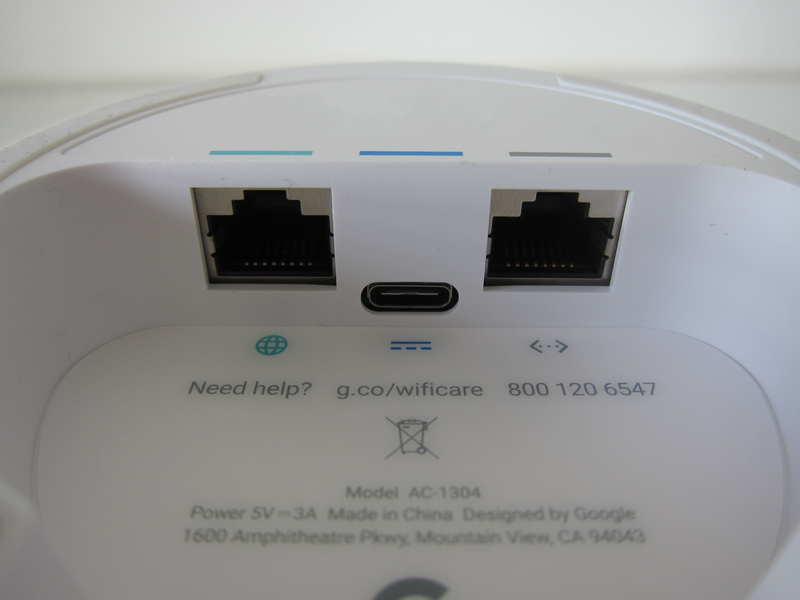 Google Wifi supports both wireless and wired backhaul which is the same as eero and Velop. Both Google Wifi and eero are dual-band and for Velop, it is tri-band. Hence, for wireless backhaul, only the Velop has a dedicated 5GHz channel for the nodes to communicate with each other. 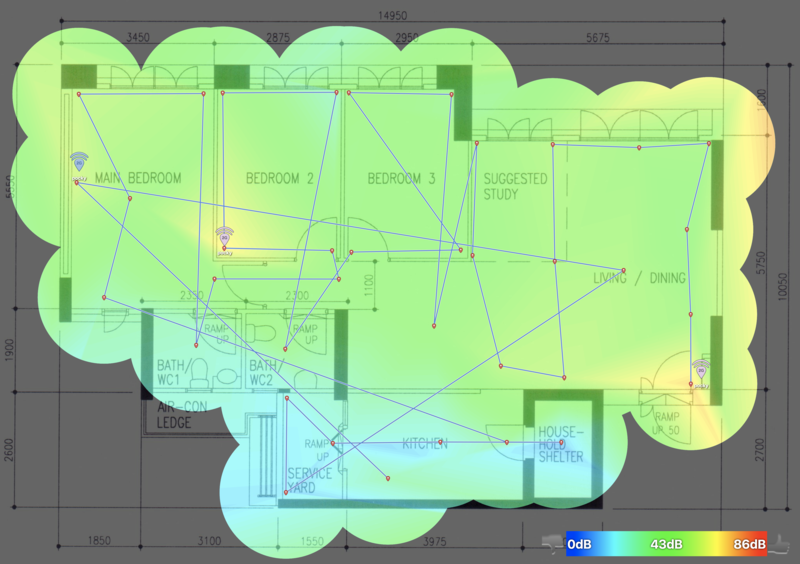 Google Wifi and eero nodes communicate with each other over the shared 2.4GHz and 5GHz channels between the nodes and the clients. 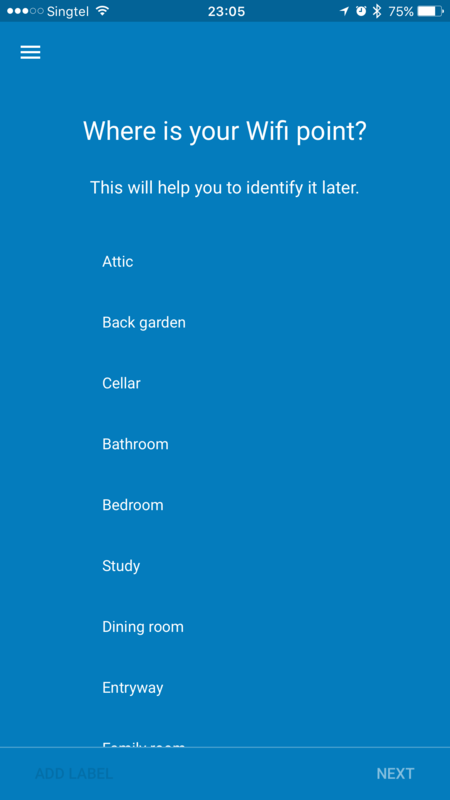 An interesting feature only found in Google Wifi and not in eero or Velop is Bluetooth Smart Ready. 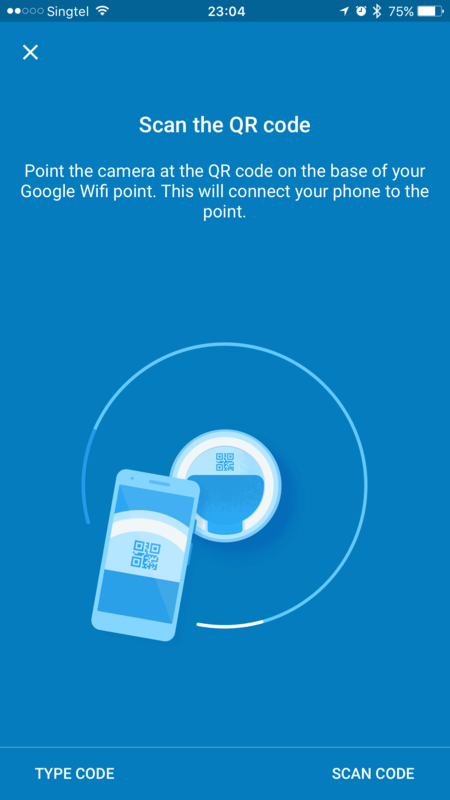 Bluetooth Smart Ready allows Google Wifi to receive Bluetooth signals from other Bluetooth devices nearby. 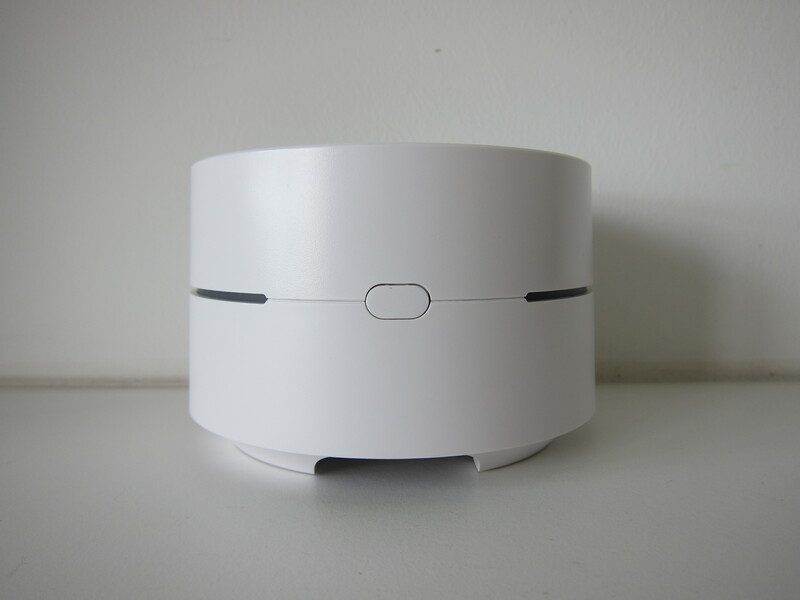 Think of it as an IoT hub except instead of Z-Wave or ZigBee; it uses Bluetooth. 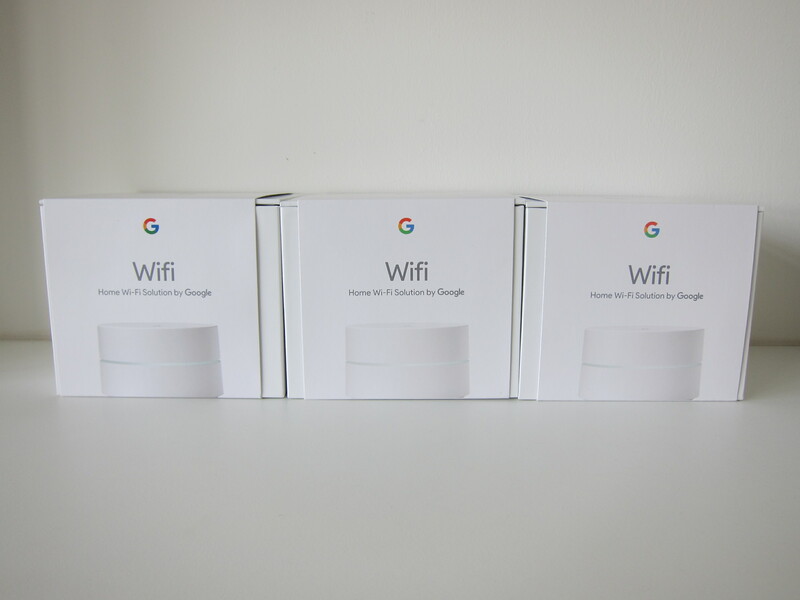 In Singapore, it seems StarHub will give you three individual units of Google Wifi rather than a box with three units of Google Wifi as seen in the US. 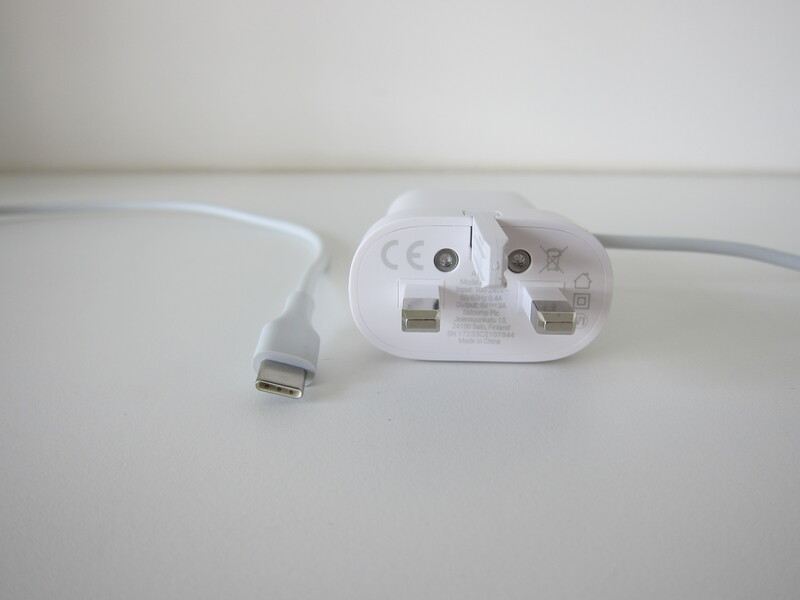 The power adapter has an output of 3A and has the USB-C cable stuck to it. I guess Google didn’t include a removable USB-C cable as they do not want you to power it with a third party USB charger. 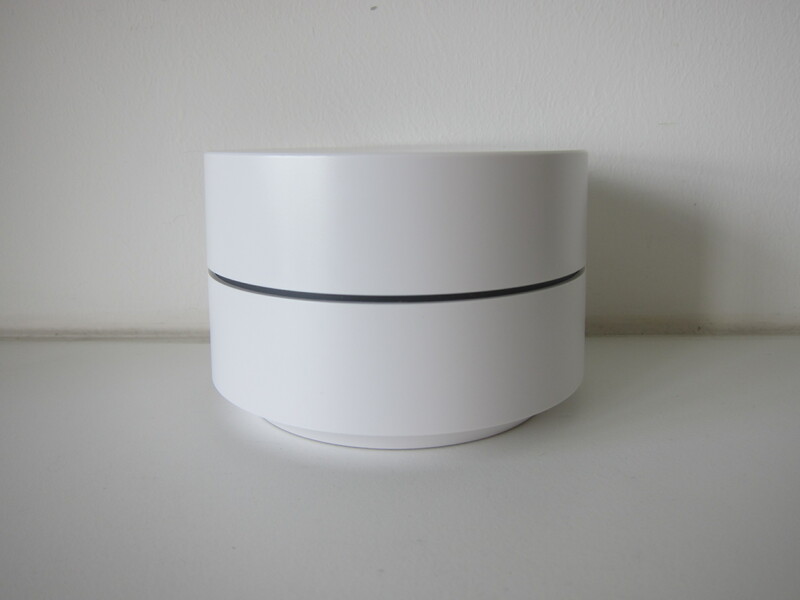 The design for Google Wifi, in my opinion, is the best-designed wi-fi mesh systems out there. It looks even nicer than eero and Velop. 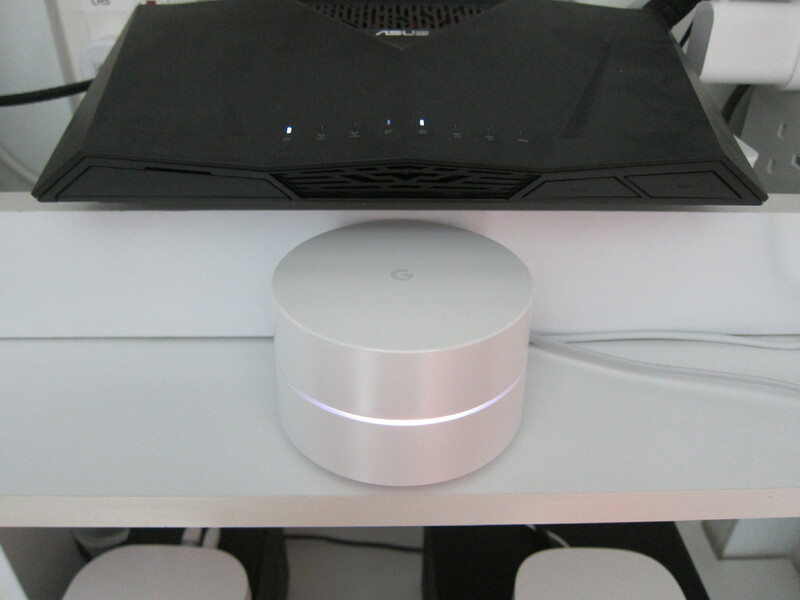 Similar to Velop, Google Wifi is designed to be placed on a table top, and hence you will notice that both of them are taller than the eero. Overall, eero still has a smaller footprint. There are two LAN ports and a USB-C port at the bottom of the device. 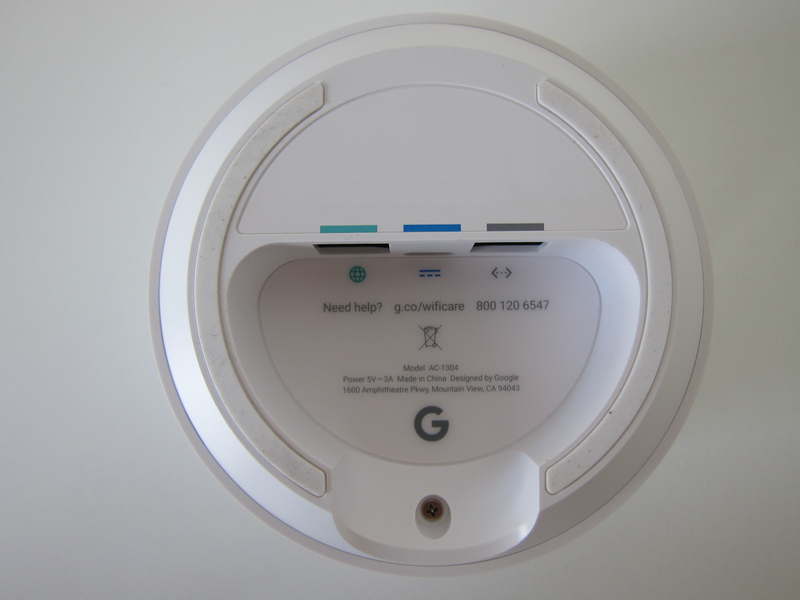 Google Wifi is powered via a USB-C port. Almost all consumers routers in the market come with a built-in switch of either four ports or eight ports. 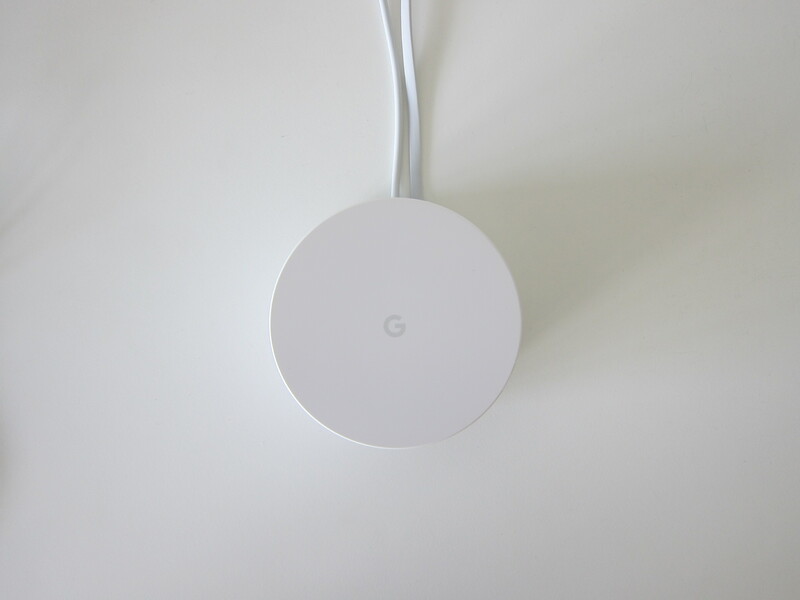 Since each Google Wifi only provides two LAN ports (one if you are using a wired backhaul), I recommend plugging in a switch to Google Wifi so that you will have the possibility of more LAN connections. At the back of the device, there is only a single button. 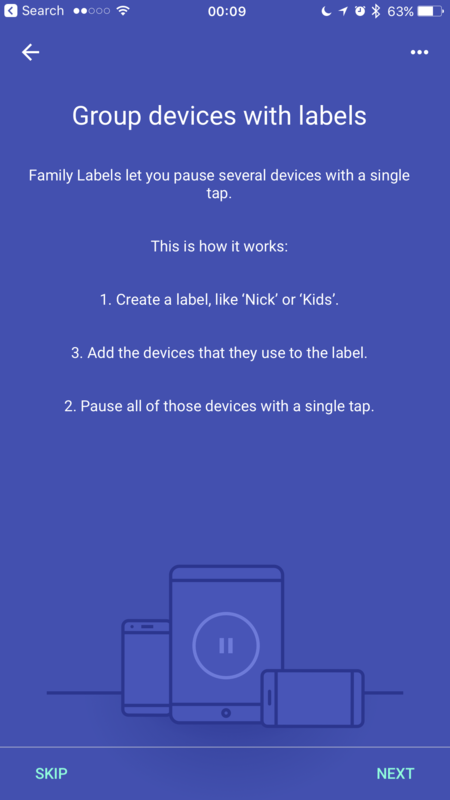 The button is used for factory resetting your Google Wifi (you can also do a factory reset within the Google Wifi app). 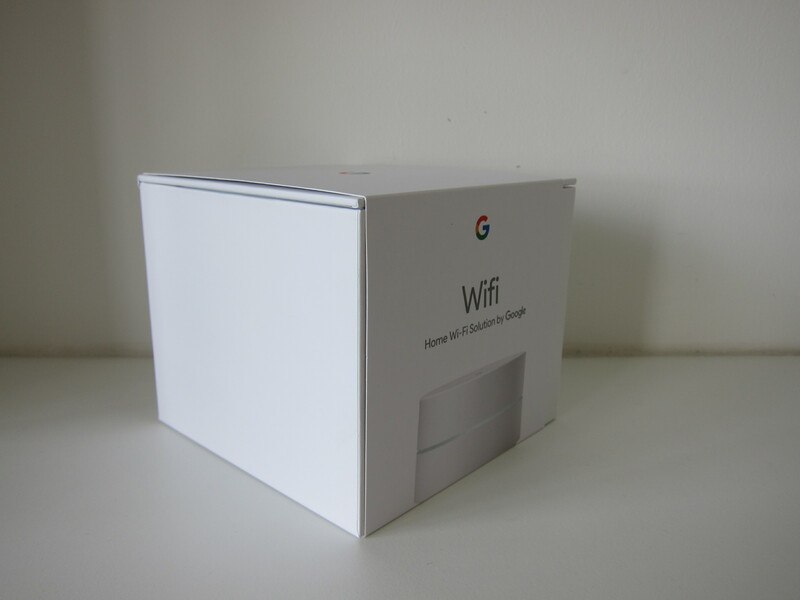 Google Wifi is designed to replace your router and be the primary network device in your home. One of the most controversial topics around Google Wifi vs. eero vs. Velop is Bridge Mode. 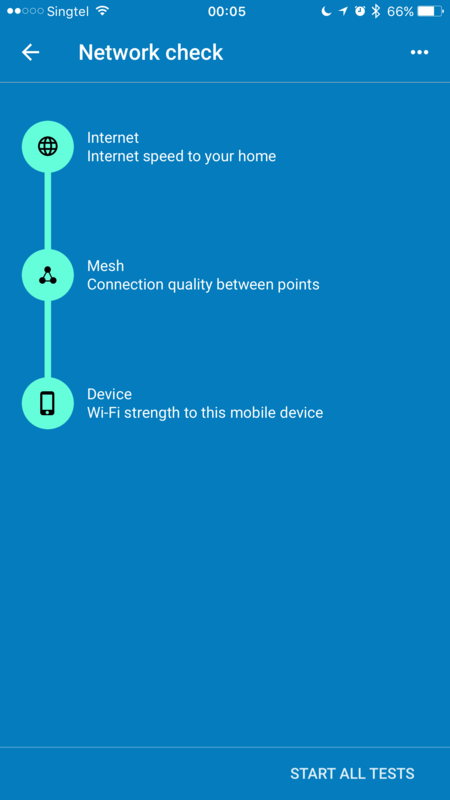 If a wi-fi mesh system supports bridge mode, you can use a router in front of it. 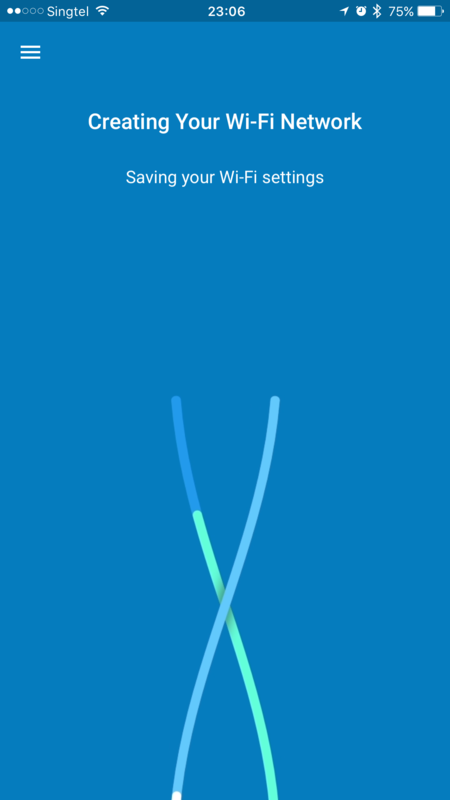 Officially Google Wifi supports Bridge Mode. I find that misleading to the consumers. 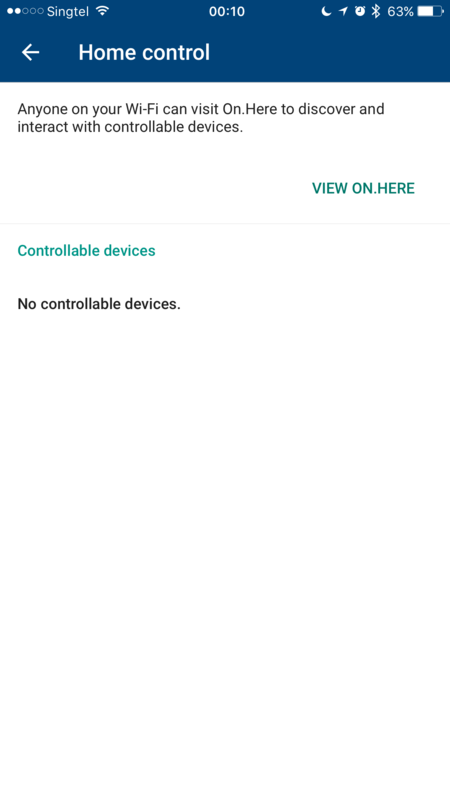 The truth is, if you are using only one unit of Google Wifi, you can use it as bridge mode. But if I buy Google Wifi for mesh, why would I get only one unit? If I only need one unit, I might as well get a more powerful router. 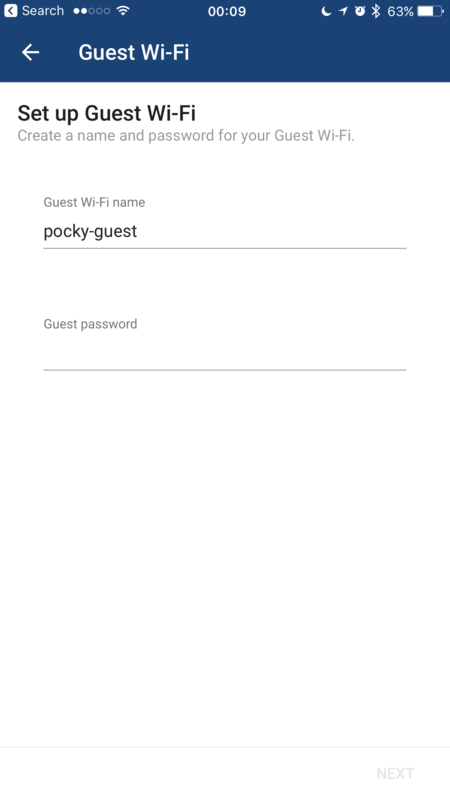 So, usually, when my friend ask me if Google Wifi supports Bridge Mode, I would say no, to avoid the confusion. If you need a wi-fi mesh system that supports Bridge Mode, get eero or Velop. If you want to use your existing router and Google Wifi, you still can do it, but you will run into Double NAT. 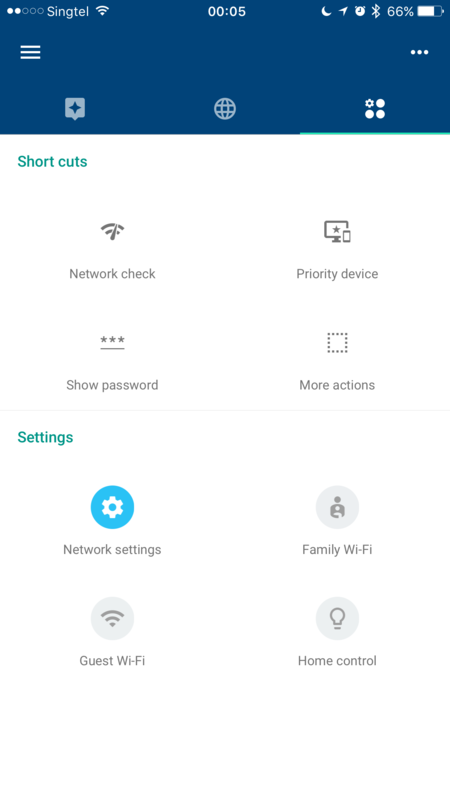 It is not an issue if all your connected devices are wireless as they will be connecting to Google Wifi and will be able to see and talk to each other. 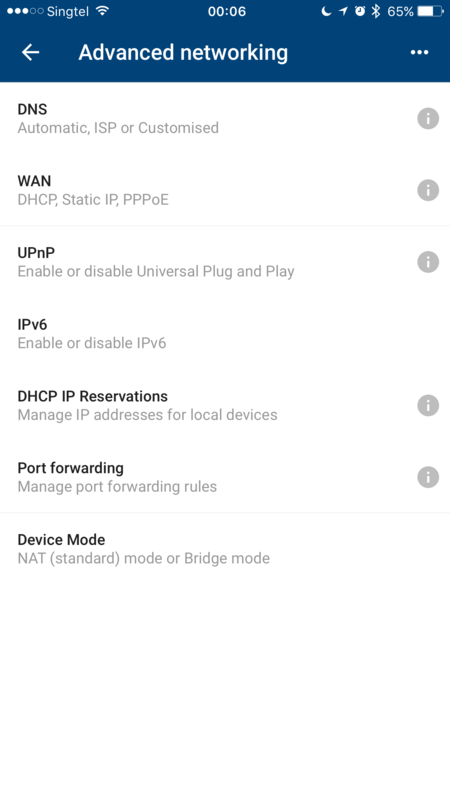 Double NAT doesn’t affect the performance of your wi-fi, but if you are doing more advanced stuff like DHCP reservations, port forwarding, UPnP, there will be a problem. 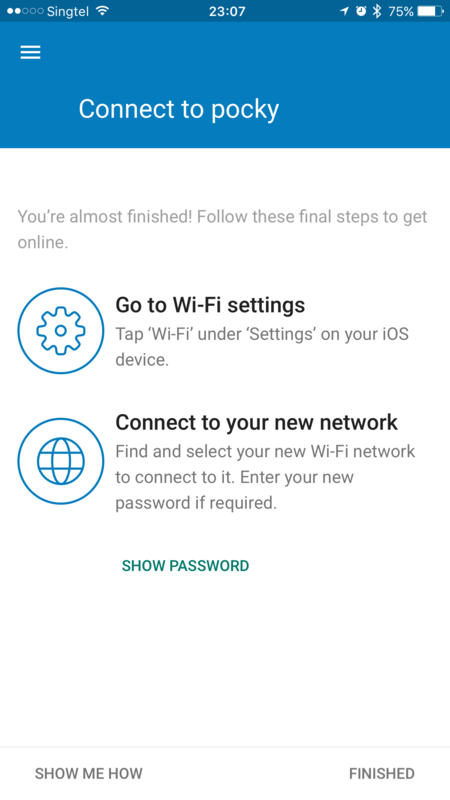 Google has put up a handy guide titled, hardwire Wifi points and other devices. 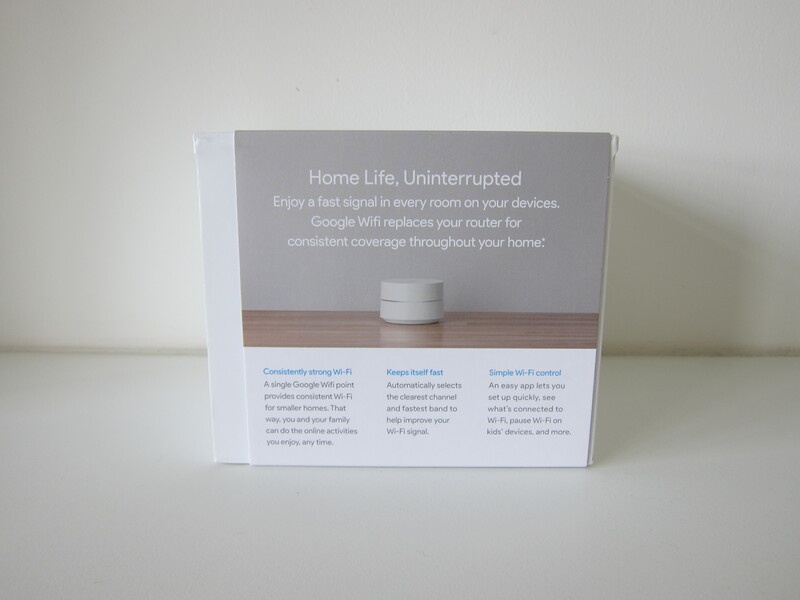 I highly recommend reading it before actually buying Google Wifi. 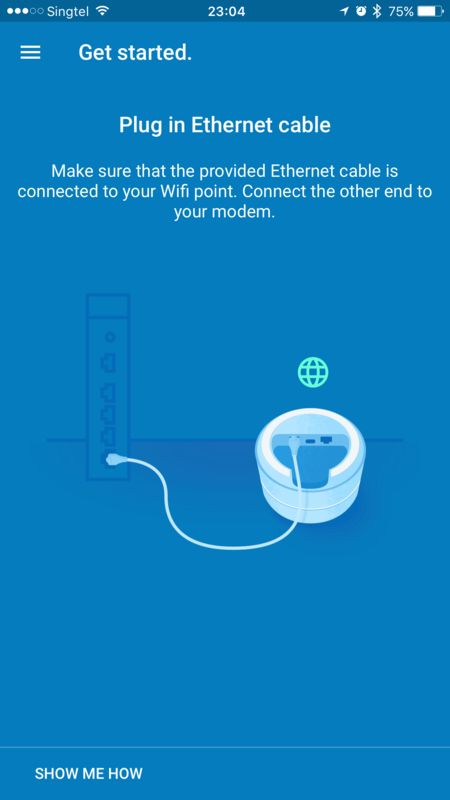 Since Google Wifi doesn’t support bridge mode, I can’t replace my eero at home. 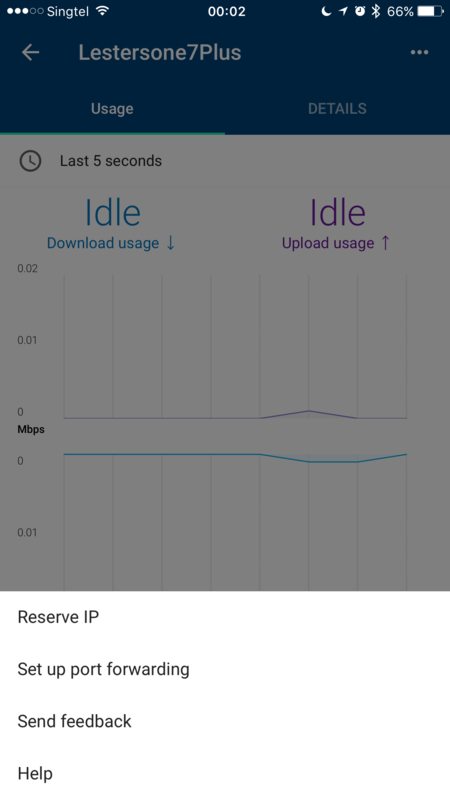 And hence, I will be testing the Google Wifi as a separate network which will run into the Double NAT issue. 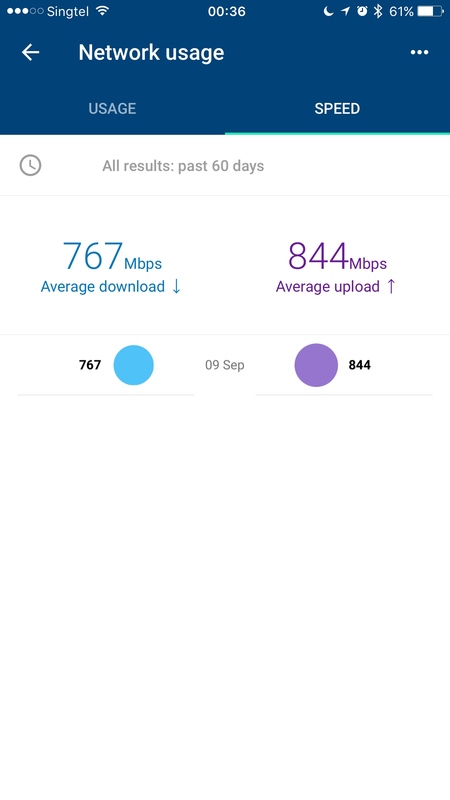 Double NAT will not affect this review because it doesn’t affect wi-fi speed or coverage. I will be using wireless backhaul instead of wired backhaul because of the same reason. 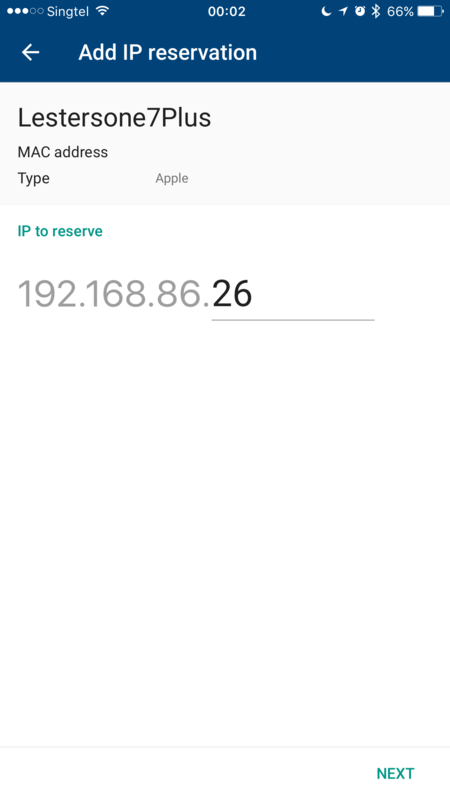 Similar to eero and Velop, there is no web interface for Google Wifi and hence to get started with the setup, you need to download the Google Wifi app on iOS or Android. 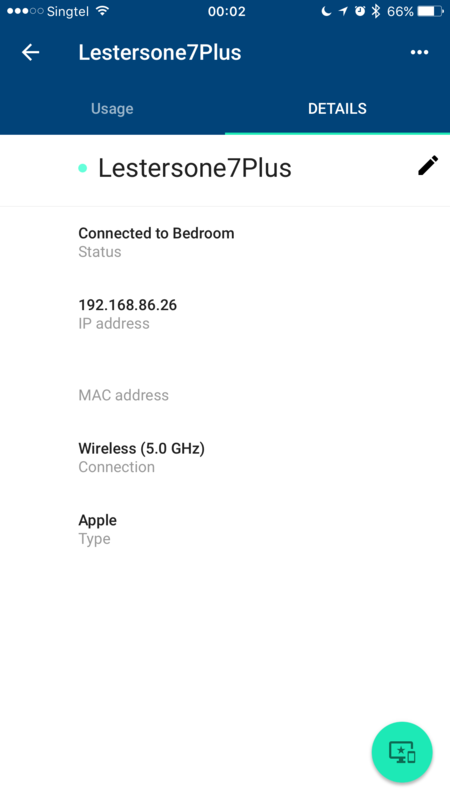 Power on your Google Wifi and plug in the ethernet cable from your modem to the green labeled Ethernet port of your Google Wifi. The setup process is incredibly smooth. 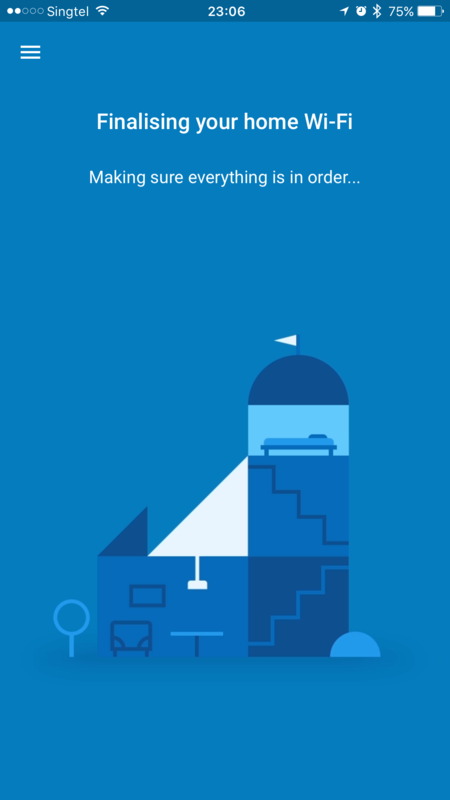 Each setup screen explains what you need to do at that point of time. It is as good as eero’s setup process and better than Velop. 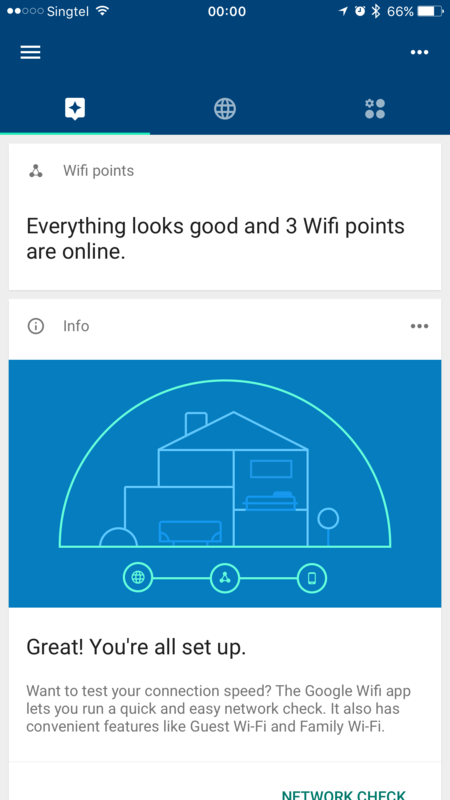 It took me about 4 minutes to setup my first Google Wifi including capturing screenshots for this review. 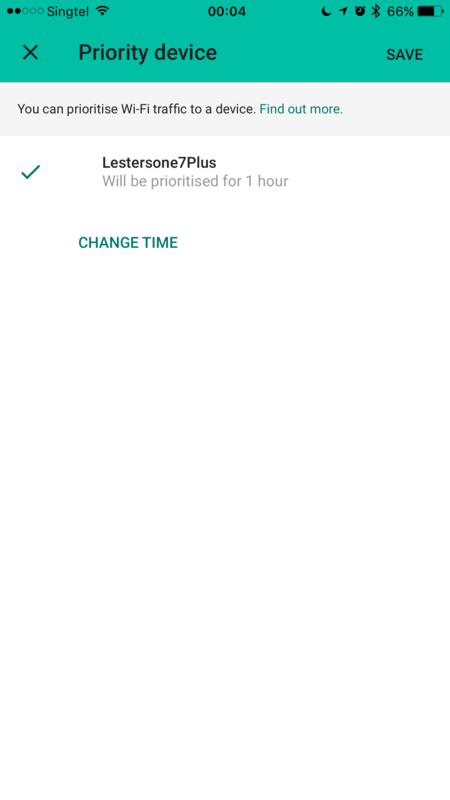 Setting up subsequent Google Wifi only takes me a minute. 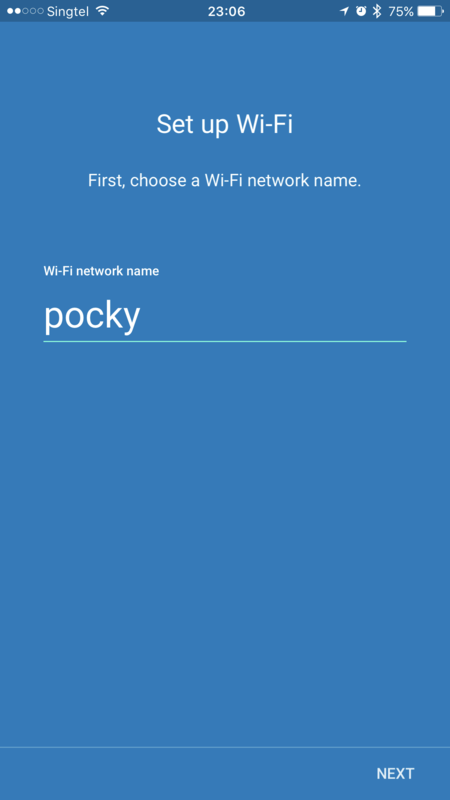 Here are some screenshots of the Google Wifi iOS app showcasing various functionalities. They are pretty self-explanatory. Since I have both eero and Google Wifi running concurrently, I re-did my eero’s speed test together with Google Wifi. Google Wifi’s download speed is impressive. 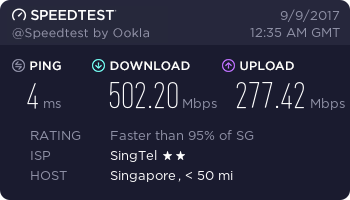 I managed to break the 500Mbps download speed barrier with it. Whereas for upload speed, it still loses to eero. 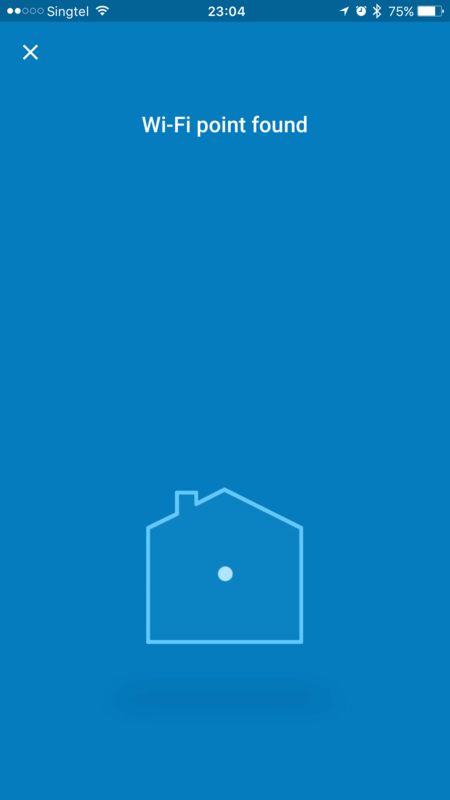 Similar to both my eero and Velop coverage test, my primary node is in the living room, and I have one node in Bedroom 2 (Computer Room) and one node in Main Bedroom (Master Bedroom). 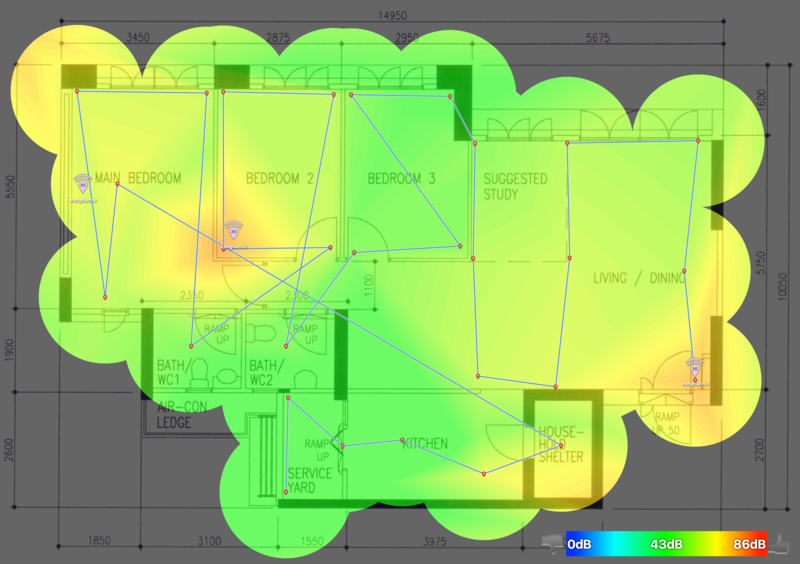 Here are the 2.4GHz heat maps from all three wi-fi mesh systems that I reviewed. And below are the 5.0GHz heat maps. 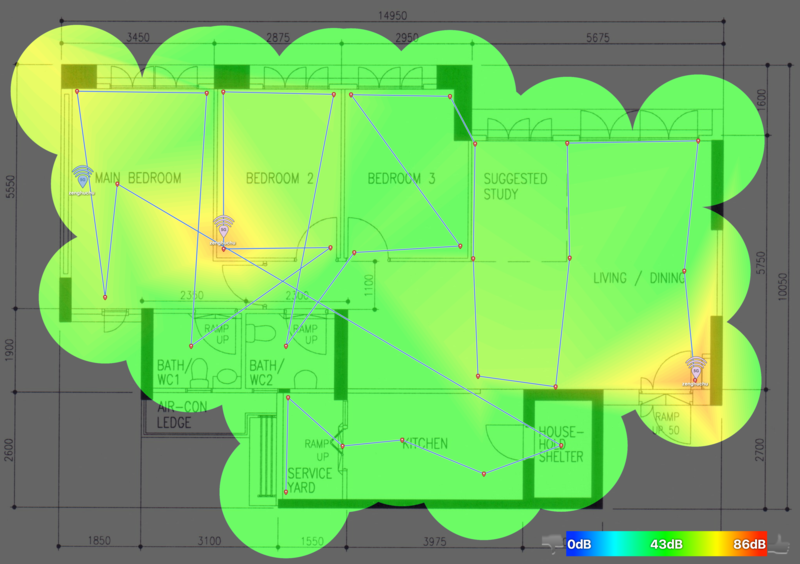 Sadly, I am not impressed with Google Wifi’s coverage, especially in the 5.0GHz area. As you can see from the heat map above, my kitchen is almost covered in blue whereas, for eero, it is in green. So far it seems, eero is still much better in coverage, followed by Velop and then Google Wifi. 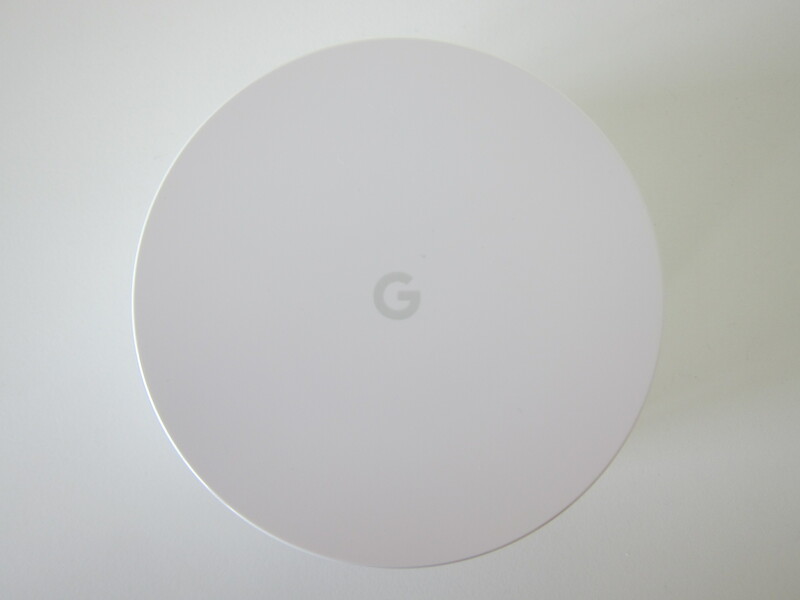 My guess is Google Wifi’s antennas is not as high powered as eero or Velop. As you can see from the AP points in the heat maps, both eero and Velop has reddish streaks near them whereas, for Google Wifi, it is yellowish. Since it might be related to antenna power, It should be fixable via an over-the-air firmware upgrade if Google chooses to address it. 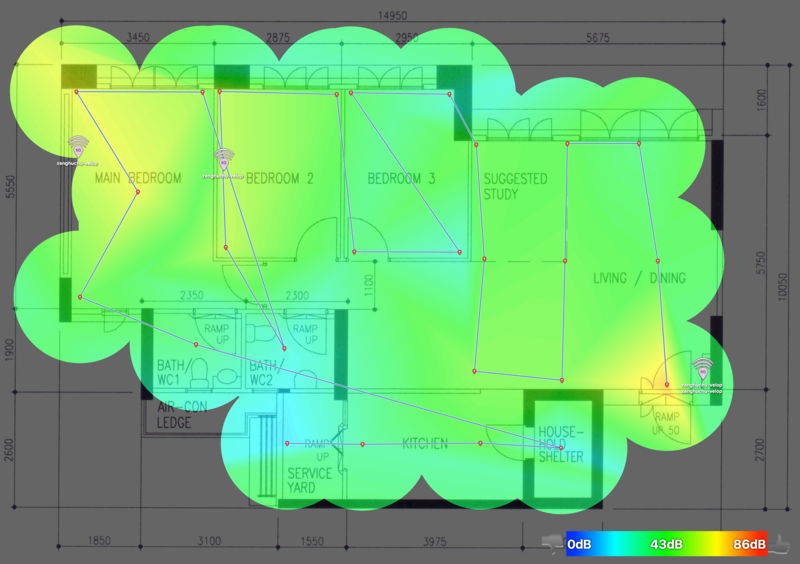 In case you are wondering, I am using a paid version of NetSpot to generate the above heatmaps. 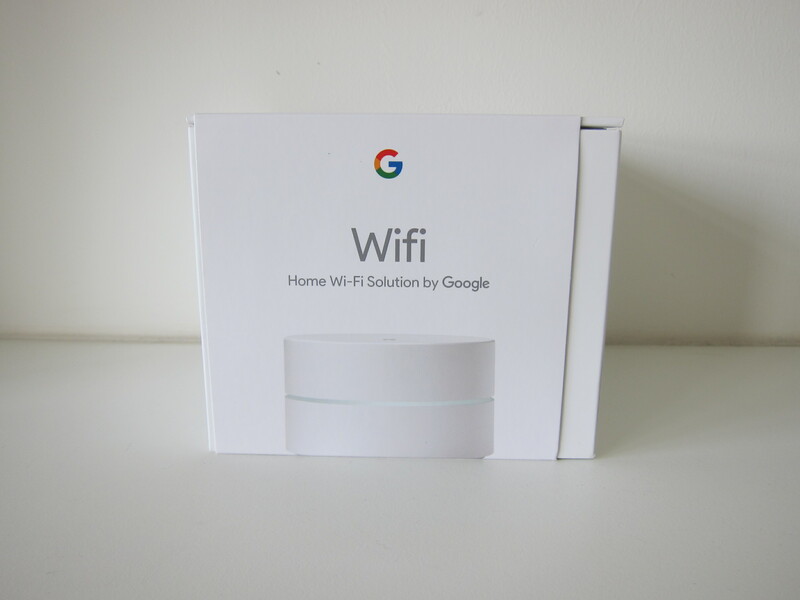 Google Wifi is suitable for homes that consist of mainly wireless devices. The assumption is that if you fall into this category, you don’t use networking features like DHCP reservation and port forwarding very often. 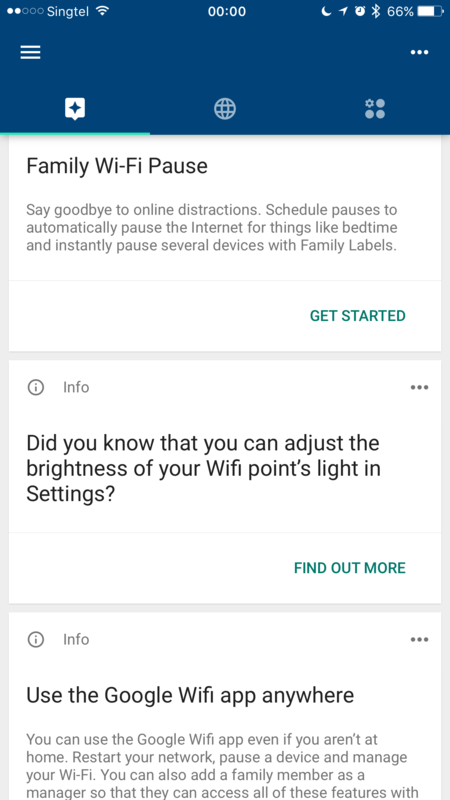 Google Wifi supports those features but managing it using an app is very cumbersome as it doesn’t provide a web interface. 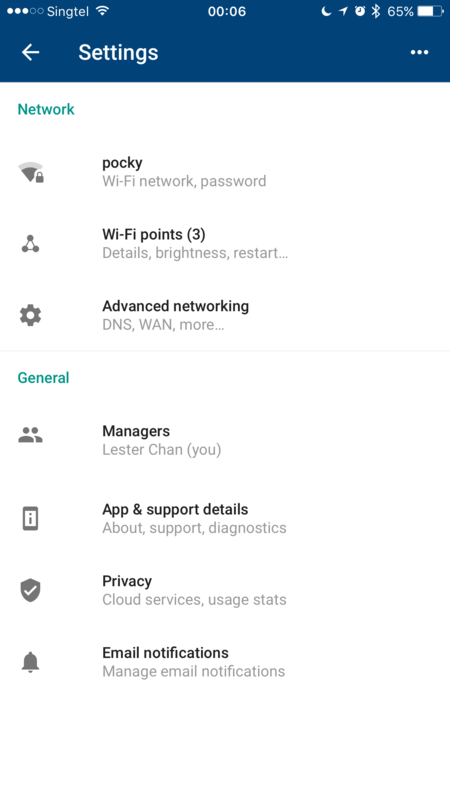 Bridge Mode is not supported in Google Wifi, and hence it needs to replace your primary router. 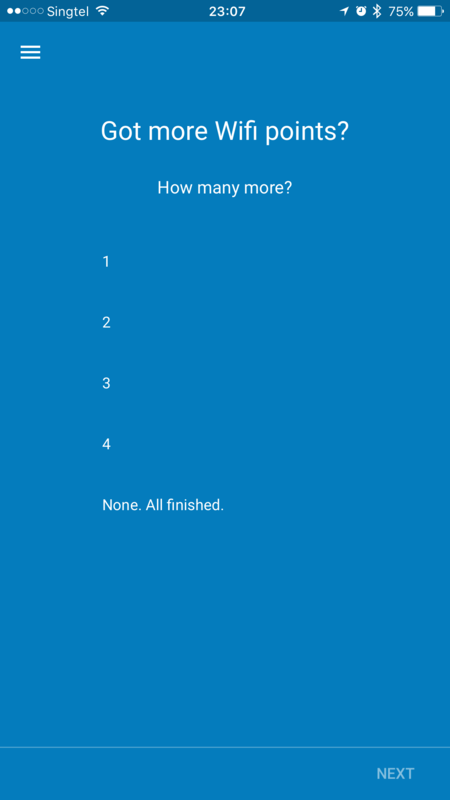 For most users, this is not a problem. However, if you are an advanced user that wants a router in front of it, Google Wifi is not suitable for you. 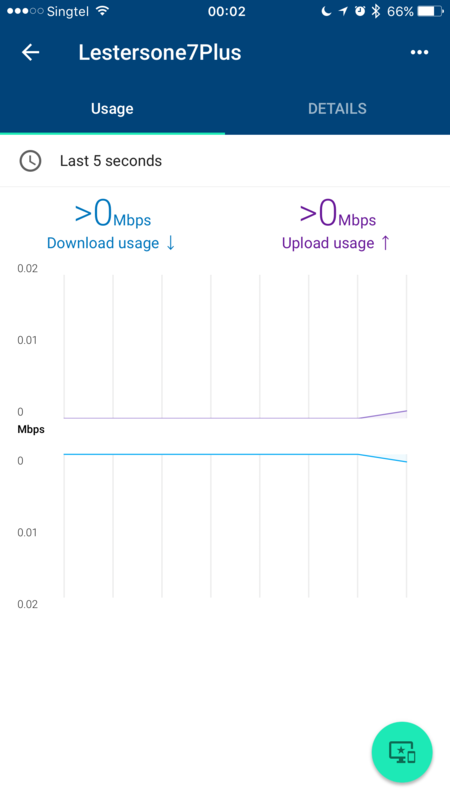 I would still recommend Google Wifi to most users despite its average coverage. It is cheap, powerful, beautifully designed and already available in Singapore. 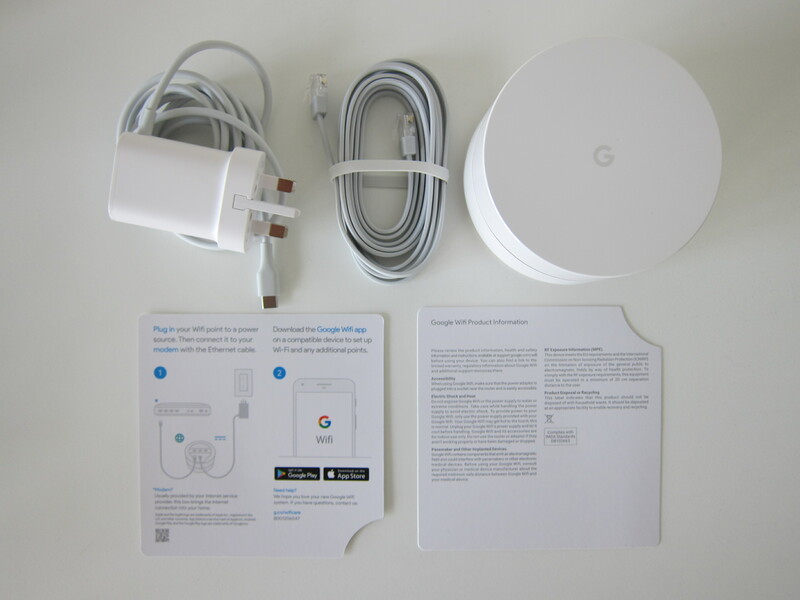 After this review, I will be replacing my parents’ home router with this Google Wifi as all of their devices are wireless, and they don’t need any advanced networking features. This page is generated on 19th April 2019, 04:25:31 (UTC) in 0.186s with 17 queries using 4.0 MiB of memory.